With all of the talk of the holiday season, we're also entering a different season- one we're more inclined to try skipping. Cold & flu season is upon us and always seems to be lurking around the office. You're never guaranteed to avoid catching something over the winter, there are a number of preventative measures and tools at your disposal to increase your odds of getting through it unscathed, and protecting co-workers if you do catch something. Start by assuming that cold and flu bugs are all over the office. Think about all the surfaces touched by many people throughout the day- doorknobs, countertops, printers and copies, conference room furniture and supplies, breakroom appliances... we're not even in the bathroom yet! Frequent hand washing is essential; OSHA recommends rubbing your hands with soap and water for 20 seconds. Fully drying your hands is also important. If washing isn't a convenient option, keep hand sanitizer on your desk and use it frequently. Another useful item to have at your desk is a pack of disinfecting wipes. You can't wipe down every suspect surface in your workplace, but at least keep your own space sanitized. This especially includes your keyboard, phones, your desk surface and anywhere else you frequently contact with your hands. Other tips for preventing illness include eating healthy, exercise, fresh air and reducing immunity-weakening stress. If you do catch something, help limit the damage by taking steps to avoid infecting others and keep yourself as healthy and productive as possible. 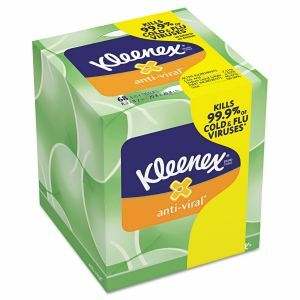 Always have a box of tissues at your desk, preferably within easy reach for sudden sneezes or coughs. If tissues aren't available, cough or sneeze into your sleeve. Ask your workplace to stock face masks that will absorb exhaled germs rather that spreading them throughout the office. Most importantly, don't be a hero. If you're sick, stay home, especially after the first symptoms arrive. If your cold or flu symptoms include a high fever, wait until 24 hours after it dies down (without help from medication) before returning to work. It's very important that we keep ourselves protected all the time especially during the cold season. 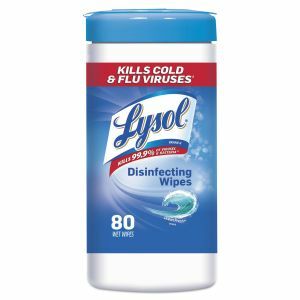 These disinfectant wipes and tissue are off big help for employees via Premieressay review who wants to keep the flu away.